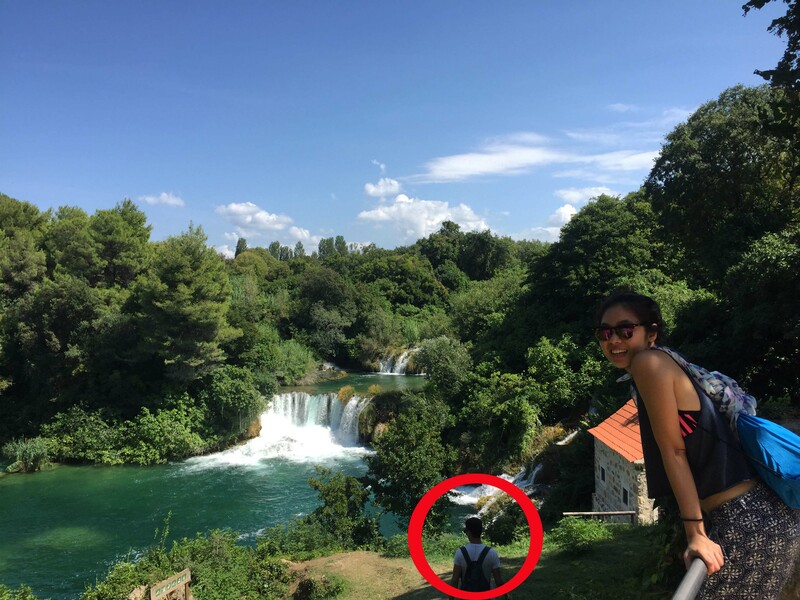 We visited two parks in Croatia. The first was the Krka National Park in Dalmatia, North of Split. It’s famous for its pretty waterfalls, some of which people are allowed to swim in. We arranged a day tour with the hostel and set off at an ungodly hour in the morning. The park itself was pristine and beautiful, with ample spots for you to either chill out by the waterfalls, have a bite, hike up a trail or nap under a tree. The second park we visited was Plitvicka (or known to the rest of us to don’t speak Croatian as Plitvice) National Park. This UNESCO heritage is bursting with lakes and waterfalls that look like they’ve come out of a fairy tale. Again we arranged a tour with the hostel a day before and were off at another ungodly hour. The bus ride to the park was rather windy and I would recommend a tablet of Kwells for those of you who, like me, are prone to getting nauseous on buses. According to our guide, the best time to visit the park is in spring (May & June) as that’s when the snow from the top of the mountains have just melted causing the lakes and waterfalls to literally burst at their seams. The weather would be cool and breezy, yet warm enough to explore the park in shorts. Plus, tickets would only be 300 kunas, much cheaper than the 1100 kunas we paid (with a student discount, valid with an expired student ID) during peak season. A view of the waterfalls from the top of the hills. This budak bandar squealed when she saw fish in the lake. You can rent a boat ii Plitvicka for €5 an hour. There are also boats and trains for you to get around in the park. Just be warned of the 30-minute waiting time. Apart from enjoying the heat beating down on my back and a perpetual SULA (someone please get this reference), I thought I’d list a few Do’s and Dont’s for national parks. Do bring water, lots of it. And if you run out, there’s always a water fountain or fresh water from the river to fill it up again. It’s os much better than spending 140 kunas on a bottle of Sprite (although I did succumb to my temptation in the heat). Do bring a packed lunch or snack. Parks charge extortionate amounts for mediocre (I’m being generous here) food. Since seats are free for all to place their bottoms on, grab a seat and whip out a packed lunch. There’s no shame in being forward thinking and saving a bit of moolah. Do enjoy the park for what it is. Smell that fresh flowing water, knowing that in a few days, you will probably return to a city with fresh flowing sewers instead. Take it all in and enjoy nature and the freedom of being unplugged. 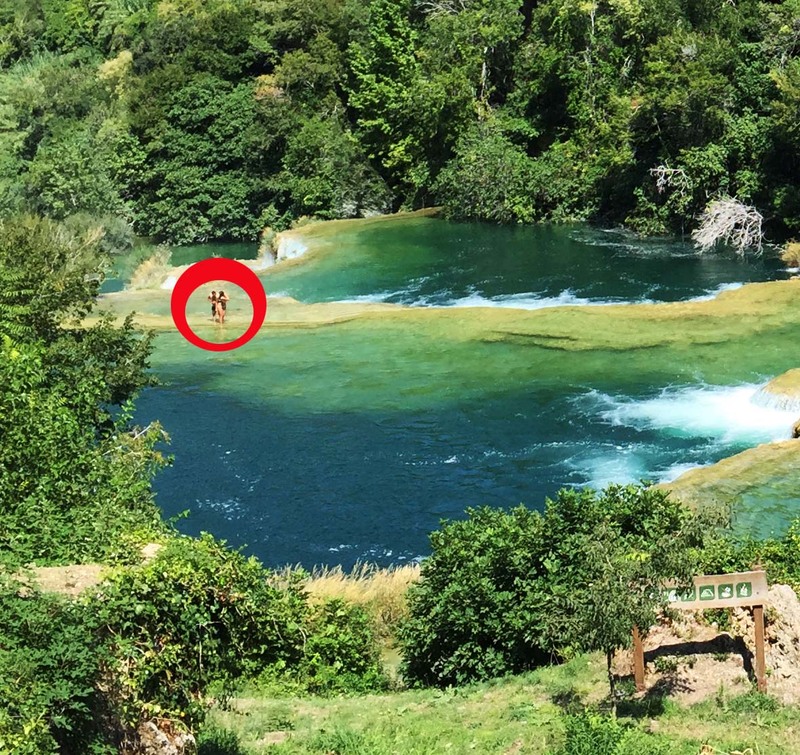 I say this like it’s an easy thing but try resisting the urge to whip out your phone after being starved of any stable connection for three days when you spot that “WiFi Zone” sign in Krka. Don’t be this guy, the inspiration for this post. Do you have any idea how many photos he’s ruined with his ugly cap and stupid tripod? I’m glad some American yelled at him to MOVE because I was about to throw a rock at his empty skull. It’s inconsiderate, honestly. Everyone’s paid to get to the park to enjoy a lovely view and take a few pictures of the waterfalls and the lakes. They did not ask for it to be ruined by someone who wants to get closer. The shot was perfect, except for this dimwit in my shot. Don’t be this couple. Apart from reason #1, they’re also ruining something that has taken a lot of time, energy and money to preserve. In some parks, people are allowed to swim in the lakes. In others, they’re not. Follow the rules, it’s as simple as that. Unless you’d like a €500 fine to make that clearer. Imagine all that suncream and make up ruining the flora and fauna in the rivers, the very organisms that give the lakes that glorious emerald/turquoise hue. Park rangers take such offences very seriously. If you’ve joined a tour, don’t be that person that wanders off instead of waiting for the rest of the group like the guide told you to. We had four girls wander off in the opposite direction and our guide spent 20 minutes looking for them. Guess who waited for 20 minutes in the heat? Again, it’s just inconsiderate and it dampens the mood of the whole group because, believe it or not, we tend to worry for strangers we’ve walked next to for the past few hours. Till my next rant, ta!